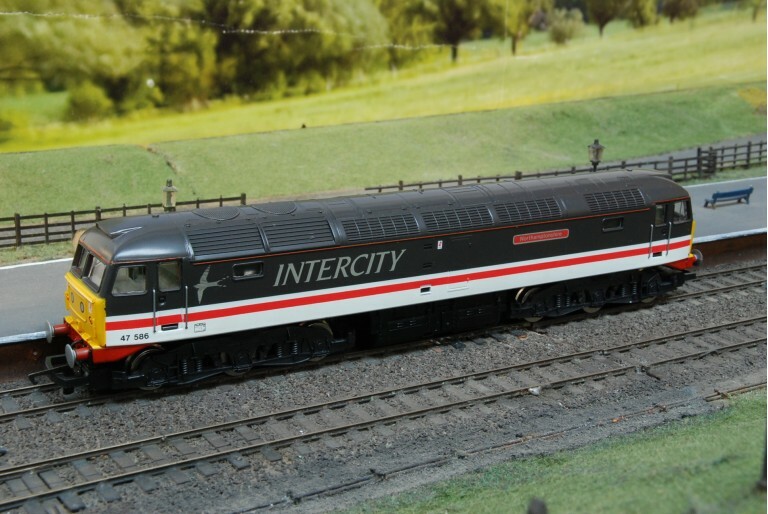 A Intercity Swallow class 47 diesel locomotive produced by Hornby with railway model code R586 in OO gauge scale. 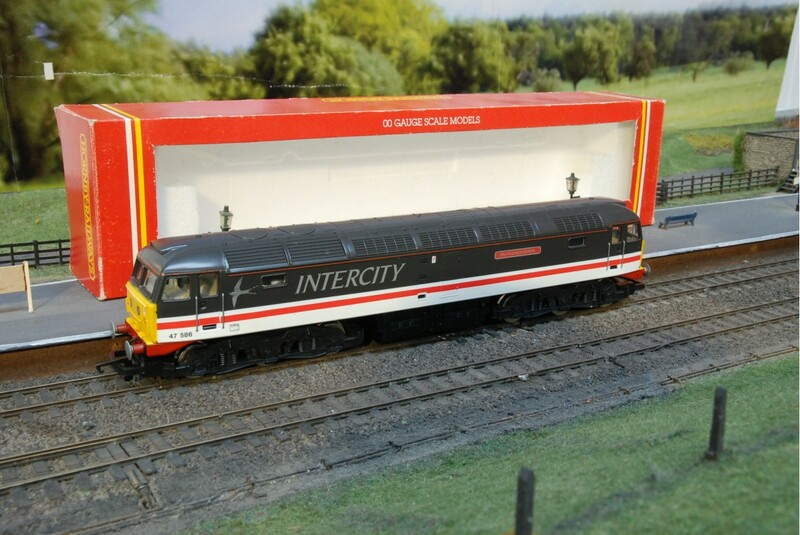 A detailed model train named Northamptonshire and with the running number 47 586 which features the traditional Intercity livery colours of black, white and red stripe along with the IC swallow logo to the front of the model train. 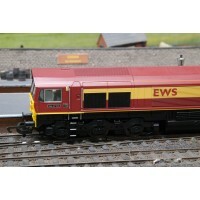 A class 08 0-6-0 diesel shunter produced by Bachmann Branchline, with model number 32-101B, is decor.. 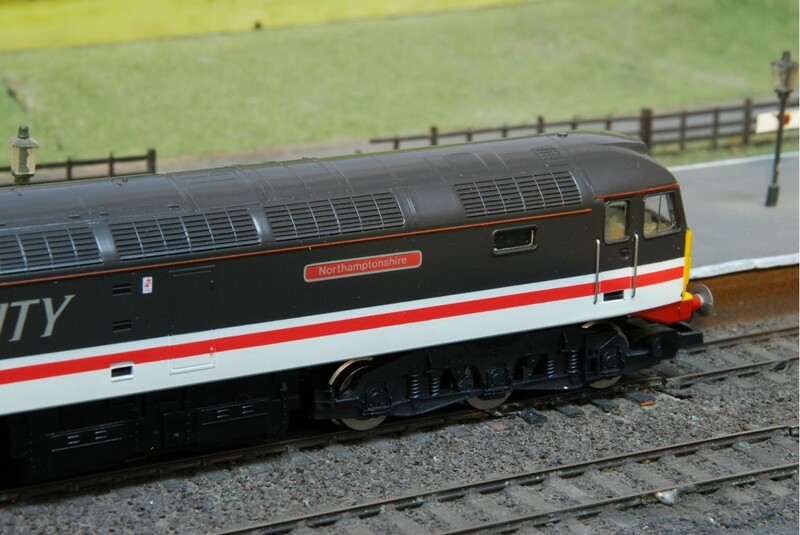 The Virgin Trains, Porterbrook Class 47 by Heljan is a striking OO gauge model diesel locomotive. 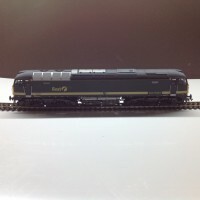 Pr..
Great Western class 47 diesel locomotive with running number 47500 produced by Heljan with model num..